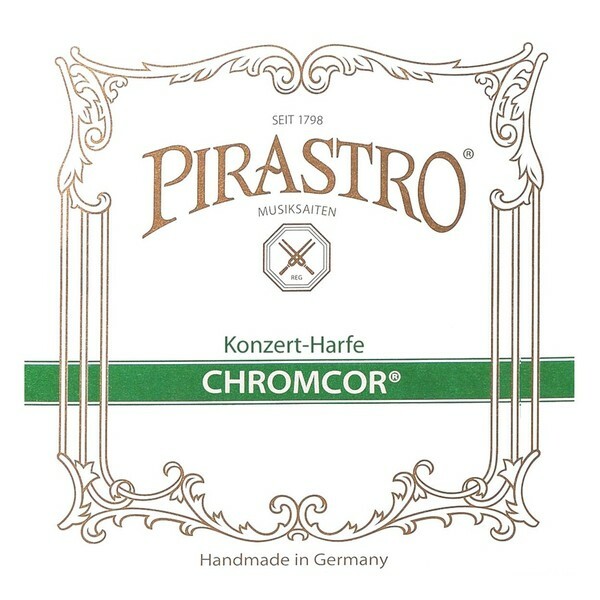 Pirastro P376400 Chromcor Harp B String offers a reliable sound to the developing musician. The string features a single filament steel core that produces an accurate, clear sound without metallic harshness. The strings have been manufactured with a precise diameter throughout their length, which results in a more consistent, reliable use. The silver plating has a comfortable feel for smoother playability. This B string features a ball end and is designed for the 6th Octave of your concert harp. The Chromcor series of harp strings are ideal for players wanting a solid tone whilst learning. The characteristics of steel strings make them easy to play and hear due to their immediate response and clarity. The medium tension offers consistent playing accuracy and tonal balance. The silver winding has a comfortable feel, as well as adding depth to your low frequencies. 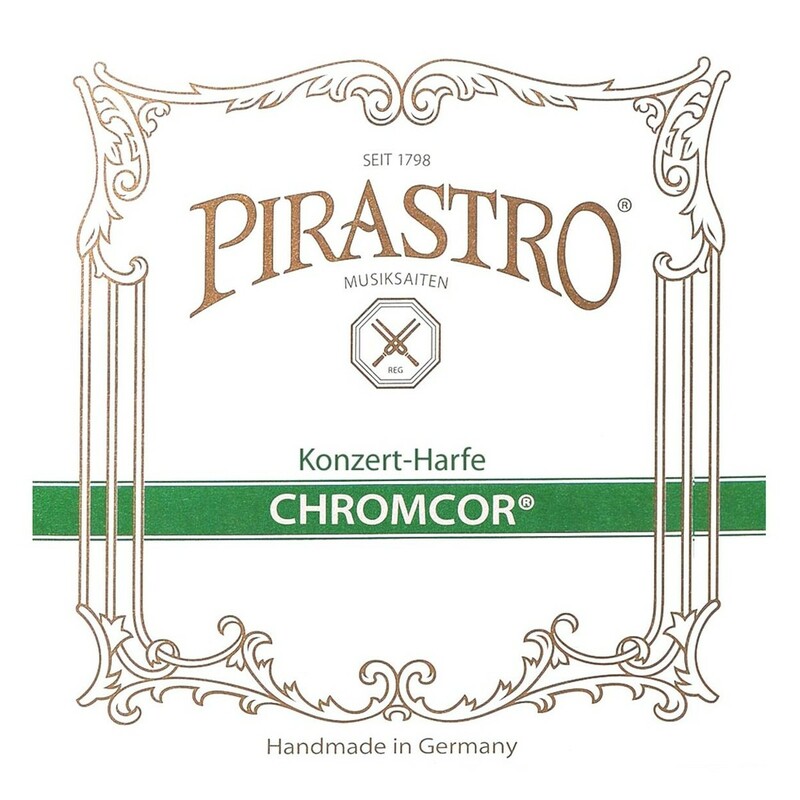 Once installed on your harp, the Chromcor strings have exceptional tuning stability and immediate playability, so you have your optimum tone all the time. The Chromcor strings are a suitable choice for developing students.